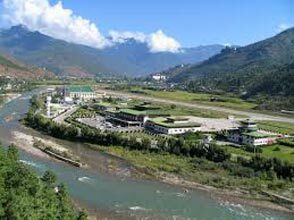 Cultural tour to Bhutan: Heavenly is more into Bhutan cultural activities. Due to unique tourism policy and tariff being monitored by Royal Government of Bhutan, the highest visitors in Bhutan are 50 years to 80 years old. Due to fact that Bhutan is very unique and rich in cultural aspect, more are into cultural tours to Bhutan or mix cultural trips and outdoor tours/sports in Bhutan. Culture is living aspect of people in Bhutan with rich arts and architectures, unique tradition and life style surrounded by virgin nature bounded in mighty Himalayas once isolated from the rest of the world now called Heavenly Abbot of Guru Rimpoche or Guru Padma Shambava. Under Bhutan cultural holidays, we take you to visit centuries old best temples, best fortress/dzong of Bhutan, walks and hike to famous temples-taktshang gompa, showing you the best arts and architecture of Bhutan. Wall painting, house arts, wood painting by using traditional natural pigments is very common. Bhutan cultural tour, we also offer textile tours of Bhutan taking you to the best parts of textile centers across Bhutan. Our cultural tour is unique and different than what you must have heard or seen. We organize private personalized tours as per your interest and time. We understand what you feel and what kind of tours you may be looking at the end of the day. We are very proud to tell you that Heavenly Bhutan Travel is the best travel company in Bhutan this is what our previous clients said/wrote many times about us. Some of the tours that we offer are also listed as Textile tours of Bhutan, Hidden Kingdom Tours, Cultural tours and Treks, Sightseeing and tours of Thimphu, Paro, Punakha, Wangdue, Gangtey, Trongsa, Bumthang, Mongar, Trashigang, Trashi Yangse, Samdrup Jongkhar, Tsirang, Haa and Chukha. 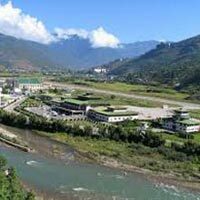 Heritage Tours of Bhutan, Historical Tours of Bhutan, Legendary tours of Bhutan, Bhutan Back Road Tours, Cultural Tour Packages, Bhutan Holidays for All Ages, Discovery Bhutan Tours and Bhutan Scenic Tours.